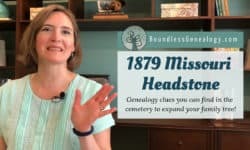 For Mormons, or members of the Church of Jesus Christ of Latter-day Saints, a passion for genealogy goes beyond a desire to learn where we came from. Finding our ancestors is an important part of our doctrine… we believe that we must all be linked through the generations from us back to Adam and that the family unit is the basic unit of God’s kingdom. Learn more about these beliefs here. 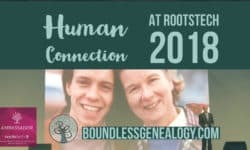 During the RootsTech conference, several leaders from the Church spoke or gave interviews. Here are some important take-aways from their words. 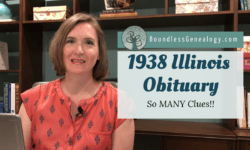 As a mother, I constantly look for ways to involve my children in genealogy and family history. 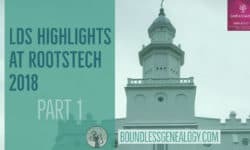 RootsTech 2018 provided plenty of new ideas that I look forward to trying. Part of my family came with me to the conference on Family Discovery Day and we enjoyed several activities together. 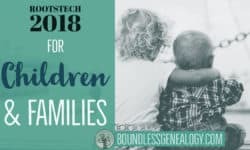 Can you believe that RootsTech 2018 is less than a month away? What an event it is shaping up to be, too! Just when I think they have announced all the goodies that could possibly fit into the four days, another amazing speaker or event is added to the line up. 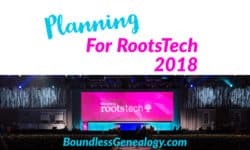 So much to choose from now that I am planning my RootsTech week. 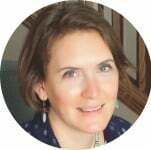 Let me share some of the wonderful options and tools I am using to get organized for all the fun. 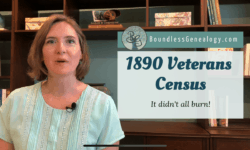 Welcome to Boundless Genealogy, where Melissa Finlay, Accredited Genealogist® helps you discover your connection to the past. 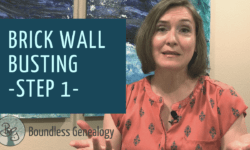 Here you find articles on simple to use research strategies, how to share your family history finds, and inspiration to help you climb your family tree! The Accredited Genealogist® and AG® registered marks are the sole property of the International Commission for the Accreditation of Professional Genealogists. All Rights Reserved.